In his debut collection of poems Neil Boyack’s Self Help and Other Works digs deep into the trials of loyalty, the stink of lust, and the wounds of solitude. 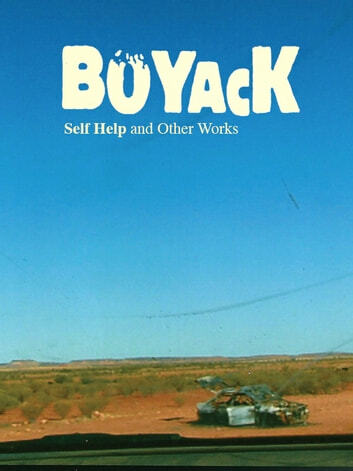 Boyack’s commitment to vulnerability is there for all to see and judge, as is his way. Heavily based in the operational and everyday he finds the hidden and the secret in the self deceptions and the anonymity of the dead fox, roads as long as sight, an argument on the beach, and in the ironies of a white Australia with a black history. His writing is never accusing, but draws the reader with sweet threads into places Australian poems rarely go. Boyack’s poems have followed his stories; sharp, jagged, sugary jabs of writing tasting of rust yet respecting all. Whether its kids in care, outback grief, the brutality of pecking orders, or a lost wedding ring, you’ll find that sometimes you have to jump into black water to find life-giving light.